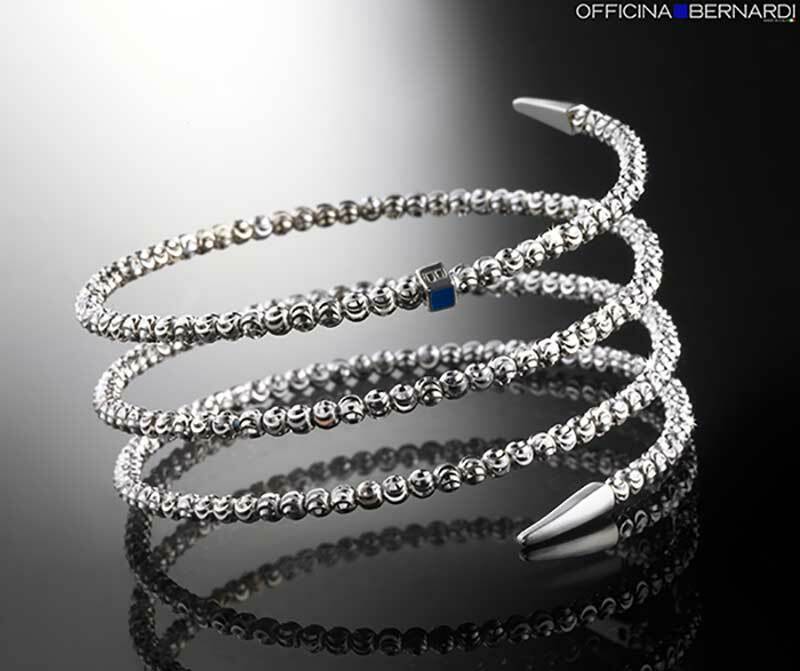 In 2007 Carlo and Francesco Bernardi launched the cutting-edge jewelry brand Officina Bernardi. They brought together experts in design, engineering, marketing and communication to develop a refined and globally appealing Italian manufacturing process. Officina Bernardi jewelry is made from start to finish in Chrysos’ premises. Industrial innovation, Italian vision, elegant designs, and a deep relation with the local tradition are the brand fundamentals. Officina Bernardi started its distribution in the US market in 2007, one of the leading markets for Chrysos spa, with immediate success. 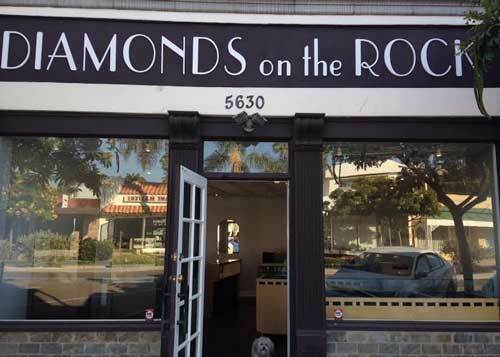 Today the brand is sold in the US in more than 800 boutiques, independent jewelry stores, and luxury department stores. 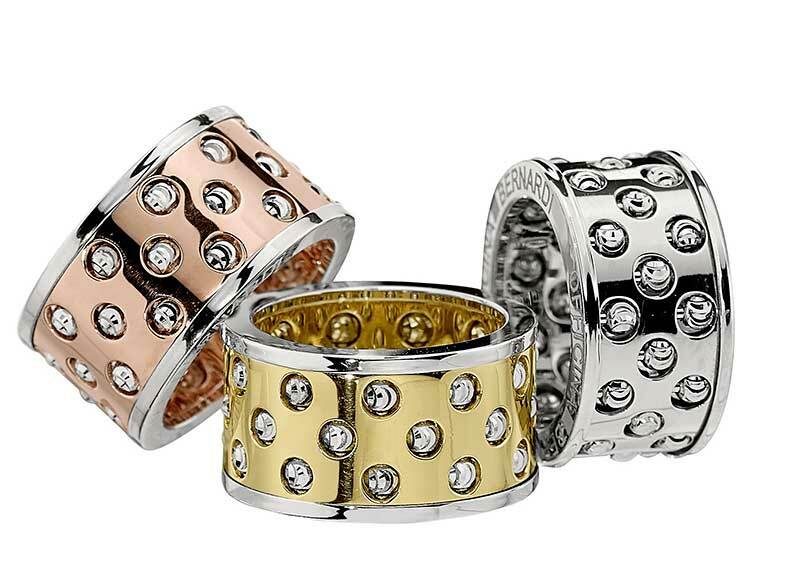 After the US success, Officina Bernardi focused on the European market, Italy in particular. In Italy, the brand is now sold by a selected group of jewelry shops and directly managed by the head office. A large stock of finished jewelry, fast deliveries in Italy and the USA, and a productive supply chain that is continually developing new products are the key factors of the brand’s success. The symbol of the Officina Bernardi brand identity is a small gold and silver bead, representative of the moon, manufactured with exclusive technologies and high-precision methods developed by Chrysos. Its special moon diamond cutting technique has a unique, changing and infinitive brightness with refractions, enhanced by a hand finishing process. 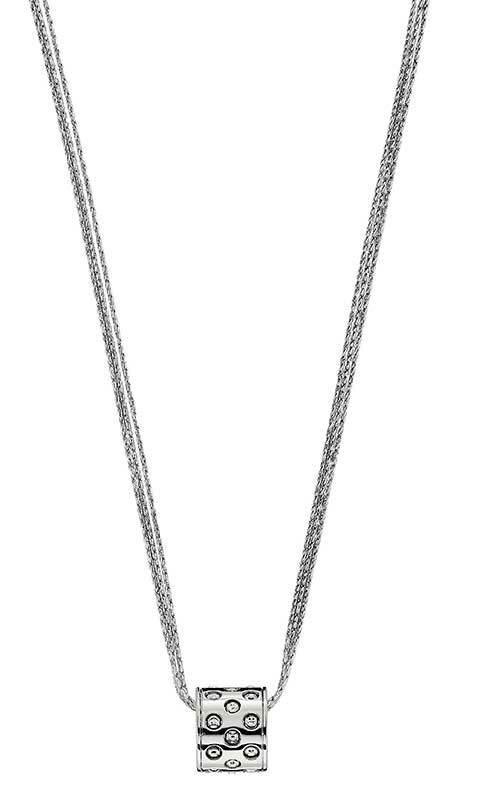 The Moon bead is the essence of Officina Bernardi jewelry and the brand’s unique brightness. Pure shapes, authentic Italian style and local inspiration, such as Venice and the Palladian architecture, loved by Carlo and Francesco, are seen throughout the designs. Through travel, they discovered new landscapes, images and shapes that inspired their goals. 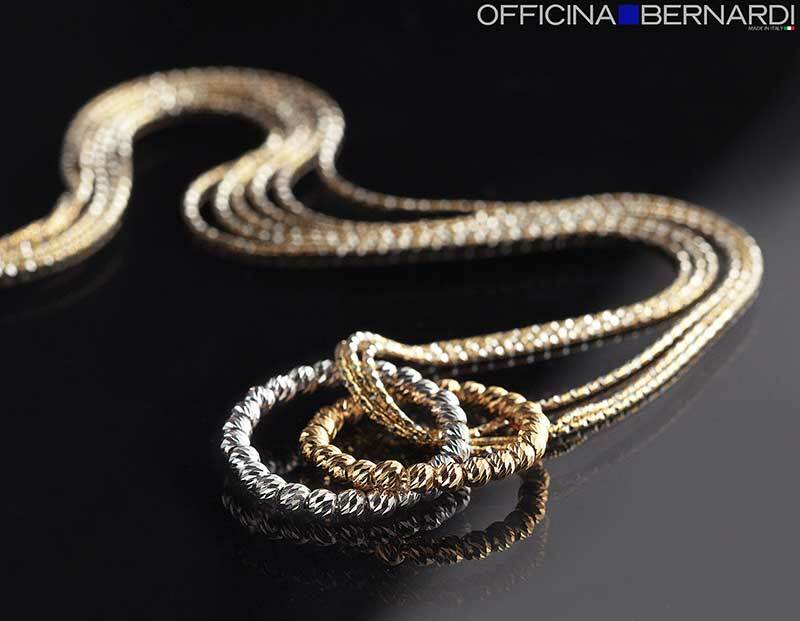 Officina Bernardi jewelry is elegant, beautiful, timeless, and inspired by various elements. They are designed for modern, independent, working, active women, who choose their accessories to feel beautiful and express themselves. The Moon bead is like a piece of an infinitive mosaic, the consistent element of the Officina Bernardi classic collection, with its different colors and dimensions. 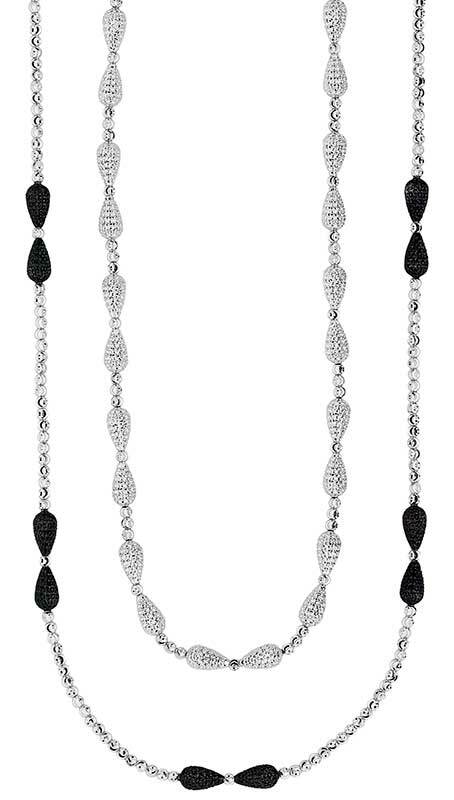 In the latest collections, the Officina Bernardi designs are manufactured with laser, milling, and casting processes and are enriched by the Moon beads combined with other diamond cut beads: Slash, Mimas, and Jianzhi, that create infinite reflections and a unique brightness and sparkle. 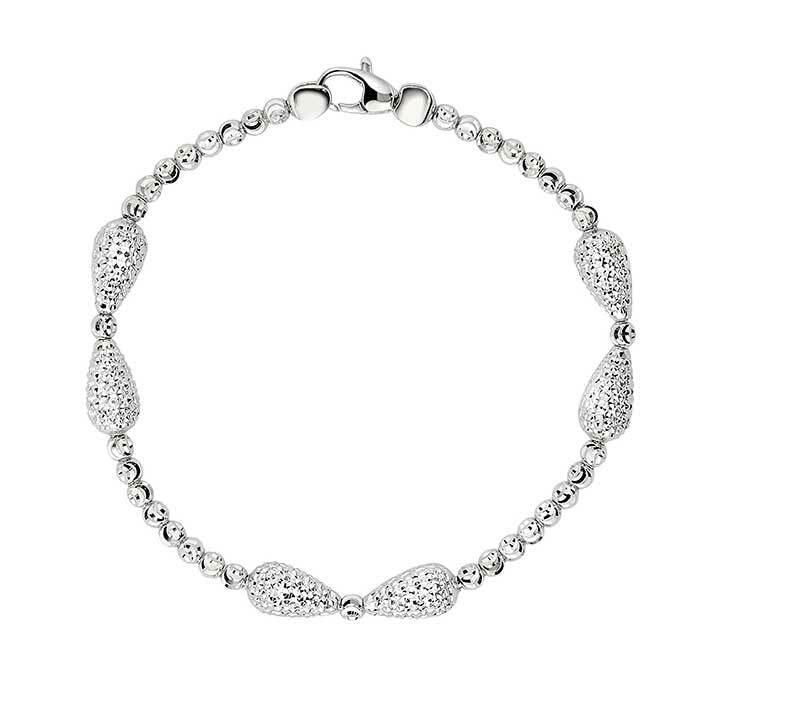 Officina Bernardi is focusing on design research, new vernaculars, and avant-garde collections where the Moon is combined with natural pearls, enamels and precious stones. In addition, the men’s collection debuted in the 2016 fall-winter season. Passion for our career, Innovation, Research, Design and Italian made creations are the fundamental elements to manufacture jewelry in precious metals that meet the natural and human need for Beauty. Chrysos develops its technology respecting the environment. In order to follow these targets, Chrysos uses environmentally friendly resources and products and adheres to the ISO 14001 standards. Its managerial policies and productive processes are focused to minimize the environmental impact. Waste reduction, recycling and proper disposal are of uttermost importance. Chrysos considers its environmental policies a priority, and for this reason, it is committed to develop a green awareness for its employees. According to its philosophy, Officina Bernardi and Chrysos developed a specific entrepreneurial social responsibility. Chrysos obtained the ISO 14001 certification for its low environmental impact and the ISO 9001 quality certification. Carlo and Francesco Bernardi offer their support in many social and artistic projects. In Veneto, an Italian region rich in artistic treasures, their homeland, jewelry is also an expression of the local culture and creative tradition. Carlo and Francesco Bernardi also support Save the Children initiatives and other campaigns such as social, medical and sport projects. Customer care is an essential element of the entrepreneurial approach of Officina Bernardi. The aim is to offer not only assistance, but true support and information to all its customers, from distributors to retailers to retail customers, according to their specific needs and cultural and geographical differences.